Adding the beauty of wood is a great way to make the essence of your POP display come together. It all depends on what you are looking for and the market you are in. Quality and value are communicated at a glance when your retail display shelves are created using natural wood materials. Wooden POP displays are part of why well over 65% of in-store buying decisions are made impulsively while browsing or standing in line. Researchers report custom displays generate twice the sales than more traditional displays. In many cases, our customers that utilize the wooden POP displays are ones that will be putting their product in a natural market. The added beauty of the wood makes the POP display look richer and more natural. Natural and health foods are a perfect example of a wooden POP display. 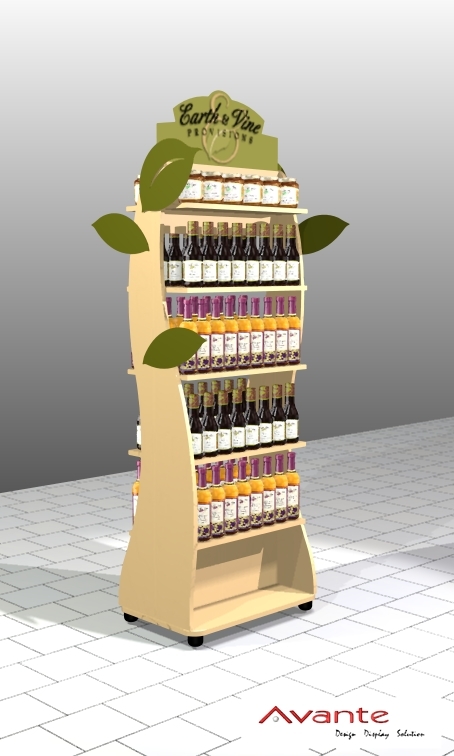 The earthy look that a wooden POP display exudes, helps the consumer understand the essence of the product. If you’re doing a product for the home ‐ imagine an elegant wooden backing instead of graphics plastered on the side. For your products to get the most attention, you must know your retail environment. Being able to relate with the audience is key. A wooden POP display allows you to connect with the consumer but not in an overly overt way. It is visually appealing and fits in with their expectation of the store experience. This way, they already trust your product. With years of experience and expertise, we help you decide when a wooden POP display would be the perfect fit. 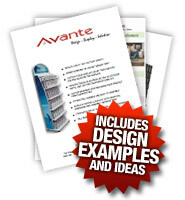 Why should you team with Avante when creating your wooden POP display? Avante POP Displays has been serving the industry with stellar wooden point of purchase displays and exceptional service since 1989. This means that our customers are assured top quality, wooden, point of sale displays that help make an instant connection with their viewers. Call toll free 1-877-407-8655, to request a custom quote or download our brochure today for information about wooden POP displays.